It covers the mathematics and physics needed to describe the position and motion of bodies in three-dimensional space. 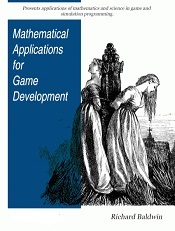 The modules in the Math section use Java OOP to develop a game math library. Richard Baldwin is a professor of Computer Information Technology at Austin Community College in Austin, TX.